There are ladies who want to look like from the 1970’s! I highly recommend giving a try to these velvet dark red trousers by teaming them with a rose floral crop top and dark red heeled sandals. Use this look for summer thematic parties or classy parties. Forget about parties and give a try to casual basics. 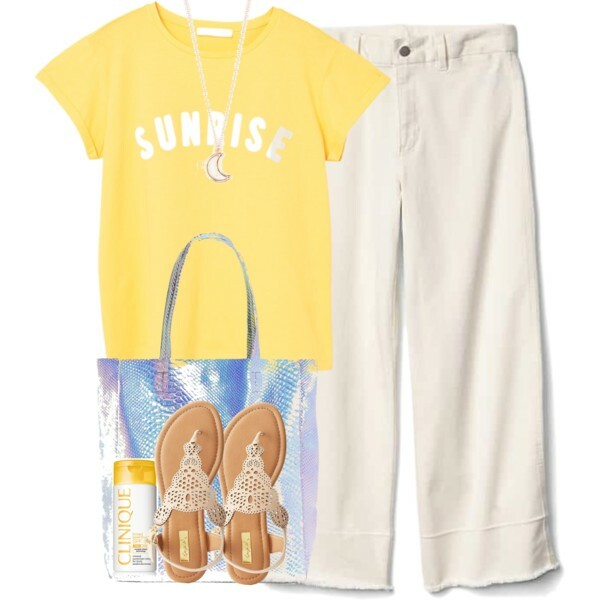 Pair white wide-leg jeans with pastel yellow T-shirt and flat thong sandals. 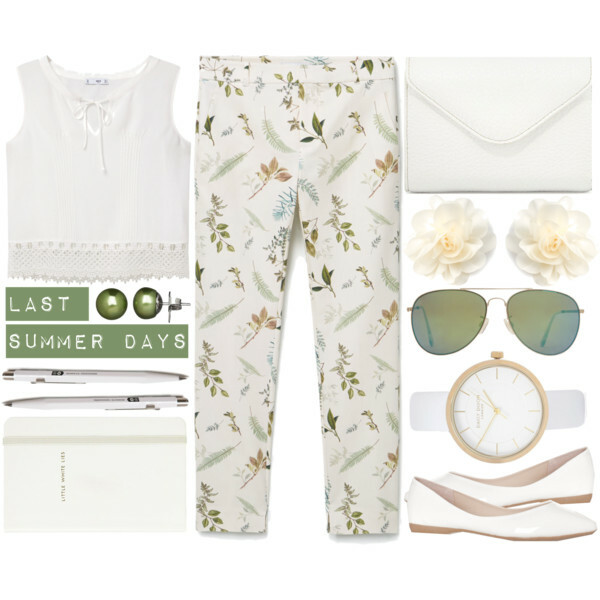 White trousers printed with leaves look simple and appropriate for everyday wear. Try these bottoms with a simple white peasant crop top, white flat pumps, and aviator sunglasses. A relaxed white T-shirt looks simple and casual. Team it with gray-white jogger pants and pointed-toe white loafers and gray-white fedora hat. This basic look is ideal for street walks on the town. Add black cat-eye sunglasses and functional shoulder bag. An abstract multicolored print on white trousers looks fresh and Summery cool. Team it with pastel yellow crop tank top and pointed-toe red heels. If you want to underline your individuality, then I recommend to try on neon purple jeans with a black T-shirt in fuchsia polka dots. Add tasseled peep-toe black leather mules, mirrored sunglasses in rounded frames and pastel purple retro leather handbag. White bottoms and blue top is always a great combination. I am in love with this off-the-shoulder chambray tunic and white platform sandals. 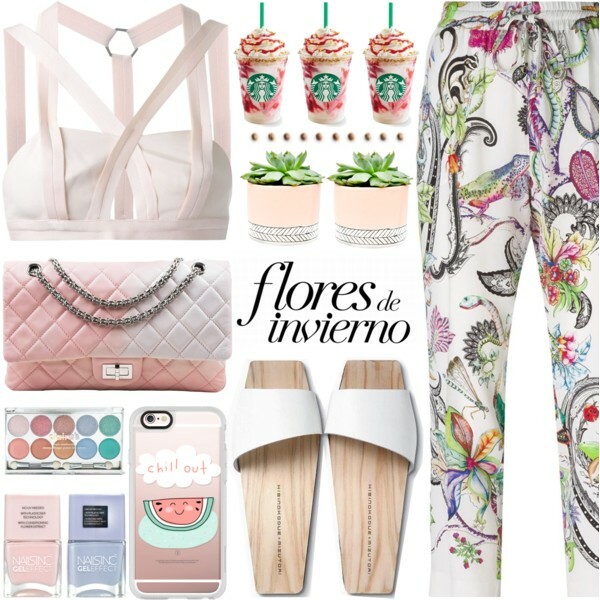 Give a try to these cute-looking pastel print pants. Try them on with a sleeveless white blouse embellished with lace on its neckline. 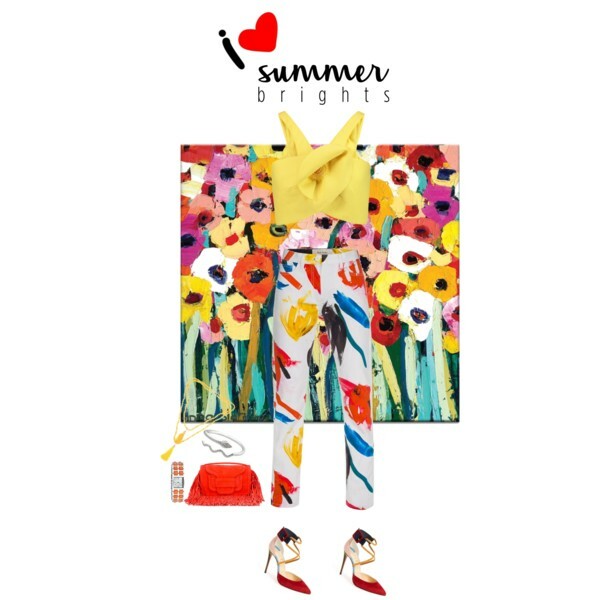 Complete this simple combo with neon yellow, orange and pink color heeled sandals and fun printed clutch bag. 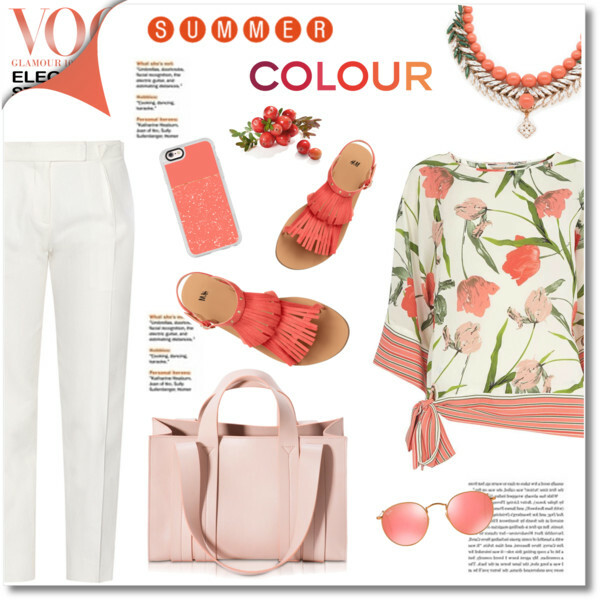 A pair of tailored white trousers for Summer season looking great with a floral tunic top and pastel pink flat sandals embellished with fringes. 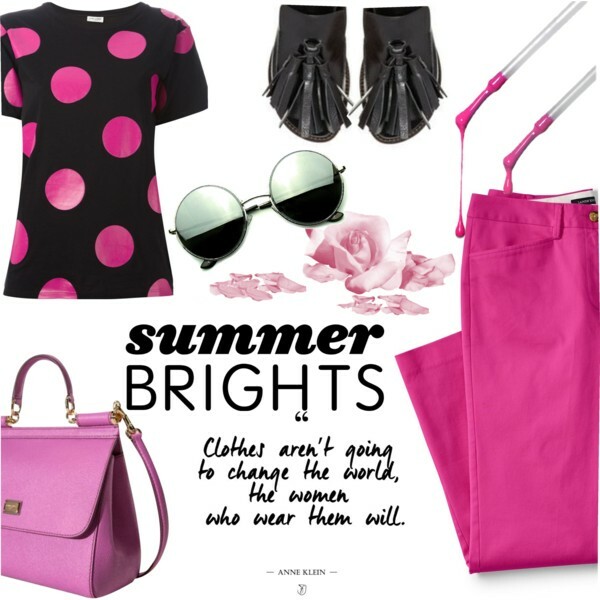 Add pastel pink leather tote bag and pink rounded sunglasses. All in white! Palazzo pants are paired with a white shortened blouse. This all white look can be used for Summer casual walks at the beach. If you want to show-off your personality to everyone around, then give a try to these floral print slim white jogger pants. They can be paired with a cream-pink strappy crop top and classic flat sandals. A pair of white wide-leg trousers looks incredible. Try it on with cream blush crop top embellished with floral embroidery. Add shiny gold-pink hooded raincoat and blush trainers. Can’t wait for casual weekends! Try on black wide trousers printed in roses. Add a black top with spaghetti straps and platform high-heeled sandals. I do like to wear pastels! 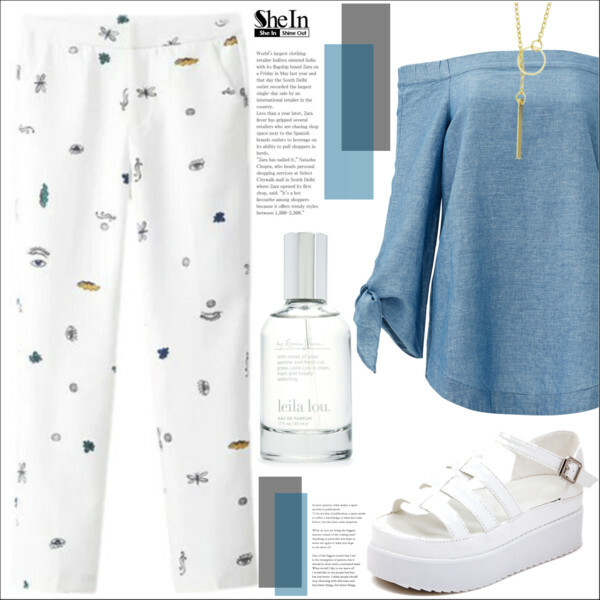 We see a lovely outfit that consists of pastel blue tailored trousers, peplum tank top, and pastel multicolored (mint-pink-yellow) flat sandals. Wide-leg white trousers in light color flowers print can be paired with white ruffle crop top and white criss-cross slides. Ruffle dark blue blouse looks nautical inspired. Pair it with striped white pants and lace-up slip-on shoes in white color. 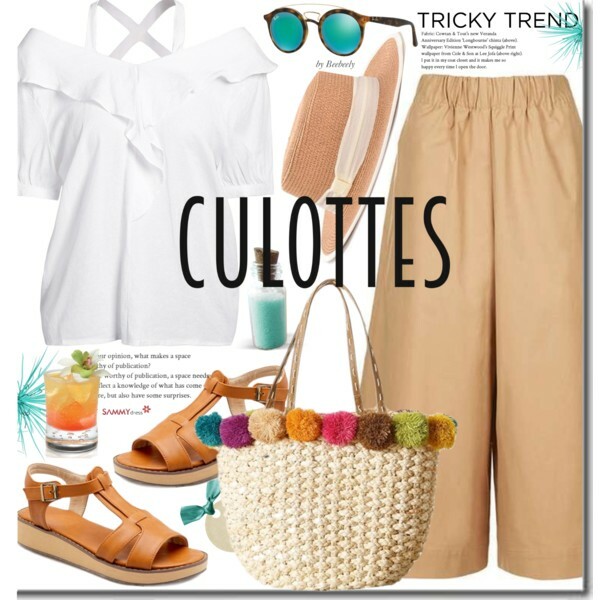 A ruffle wide-neck white blouse matches beige culottes. Complete this simple outfit with mirrored blue rounded sunglasses in tortoise frames. Add beige leather flat sandals and straw tote bag. 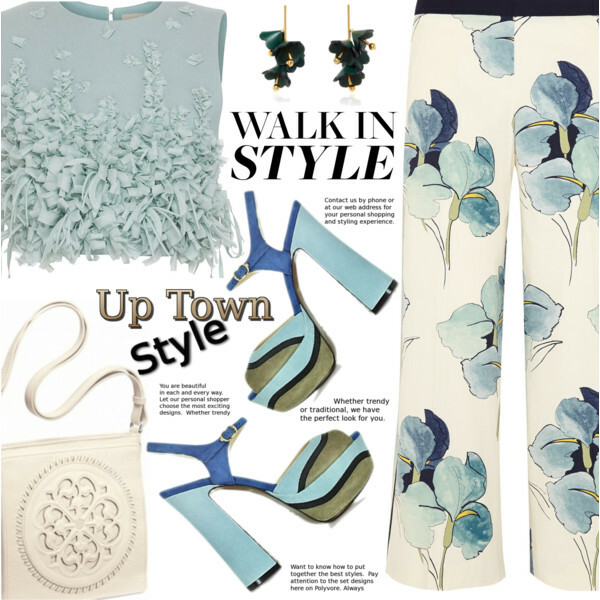 Bright floral print wide pants look bright and very special. Try them on with halter-neck orange sleeveless top and black leather flat sandals.